that will lap the milk. of a clock just so many seconds shy of the hour. as much as waking at two A.M.
and take your mother in. not a muffin crumb in the toaster. out to bring in the paper. "I'll get some paper towel,"
you offer, patting her shoulder. "I know what you're thinking,"
of "not my son . . .
not my son . . .
not my son . . ."
of his mother's jewelry box. Copyright 2008, William Aarnes. © This work is protected under the U.S. copyright laws. It may not be reproduced, reprinted, reused, or altered without the expressed written permission of the author. 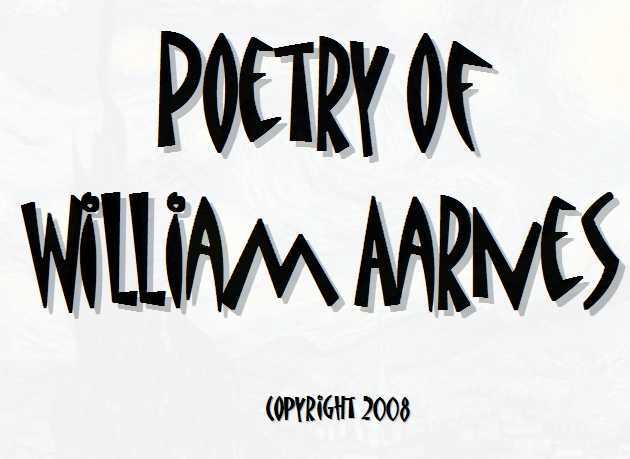 Raised in North Dakota, William Aarnes attended Oberlin College and did graduate work at both The Catholic University of America and The Johns Hopkins University. He now teaches as Furman University and lives with his wife and daughter in Clemson, South Carolina. He has published two collections of poems--Learning to Dance (1991) and Predicaments (2001)--both published by Ninety-Six Press. Over the years he has had poetry published in FIELD, The American Scholar, and Poetry. His poems have appeared recently in The Valparaiso Review, The Southern Review, and Measure and he has others forthcoming in Shenandoah, the Seneca Review, The Literary Review, and anti-poetry.